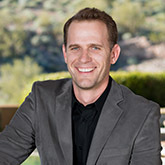 Cody Friesen is an associate professor of materials science at Arizona State University. He cofounded Fluidic Energy in 2007 to commercialize his design for a rechargeable metal-air battery, which could ultimately hold 10 times as much energy as lithium-ion devices at a much lower cost. For his innovation, Friesen was named among the "TR35" by Technology Review magazine in 2009.